The beginning of the year is always an exciting time, it feels like a fresh new start where you can put on paper all your wildest dreams for the year. Like most years I’m spending a bit of time with my family just north of Byron Bay and although the working year has already started (emails are piling up!) I love taking a little bit of time to work out the year’s strategy – things relating to the site like new directions, potential DIY projects, collaboration ideas, as well as life things like travel destinations, organisation things and health and fitness goals. My mum has always loved a good mind map and it turns out I do too! Now let’s be honest, this brainstorming phase is probably the easiest part of the process – as many of you probably know it’s easy to list something you want to do but it’s the follow through that can be illusive. I mean come on, who hasn’t created a huge scary goal that has remained un-tackled as life gets in the way and the year ticks on? For me, the trick is to work out a way to turn those big goals into little, achievable chunks that you can tackle one at a time, and then spread those out amongst the months/weeks of the year. 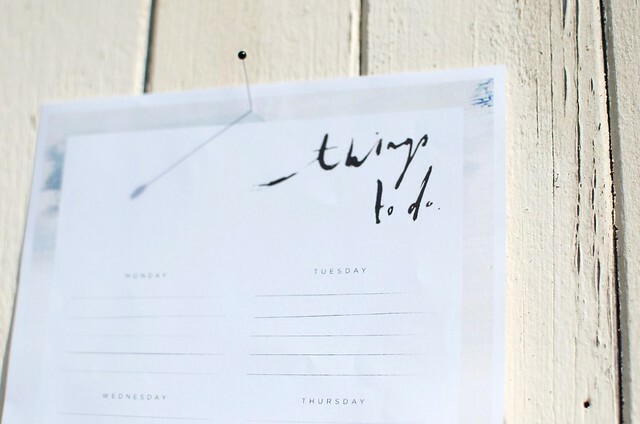 With that in mind, Belinda Love Lee and I got together to create this printable to do list. 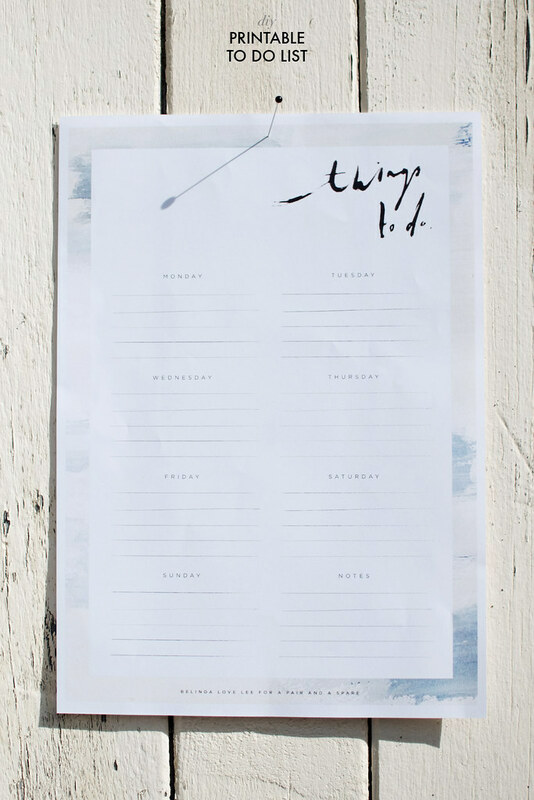 Just as a new notebook can inspire a sense of inspiration and fresh start (in me at least), this gorgeous to do list is designed to help you recreate that new leaf feeling every week, as both a place to list small tasks and a place to put those important, goal getting milestones. Download the colour version here. Big thanks to Belinda for helping me to create this!